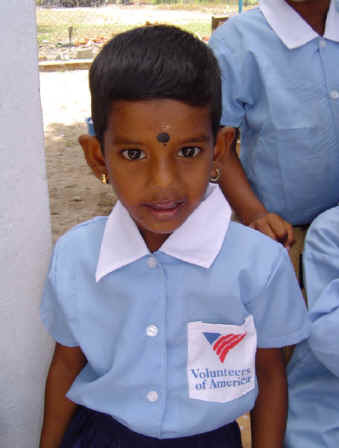 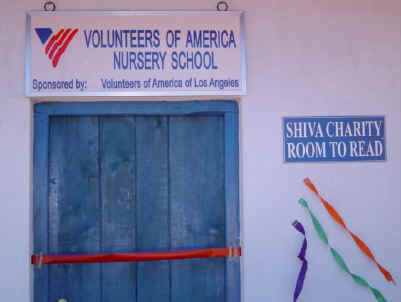 Construction of the VOLUNTEERS OF AMERICA NURSERY SCHOOL was completed in late May 2005 and the school opened shortly thereafter! 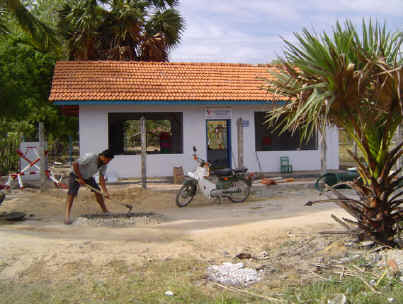 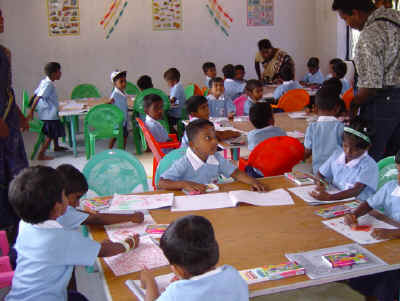 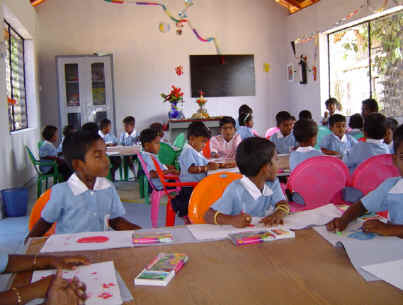 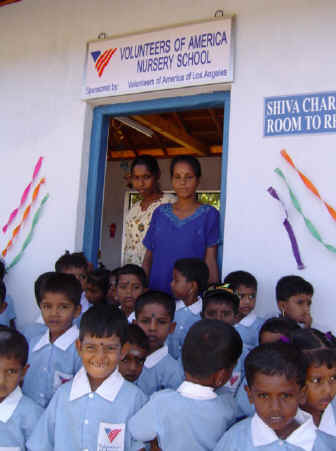 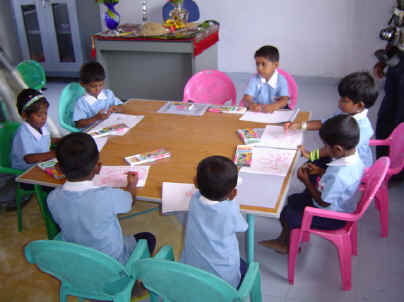 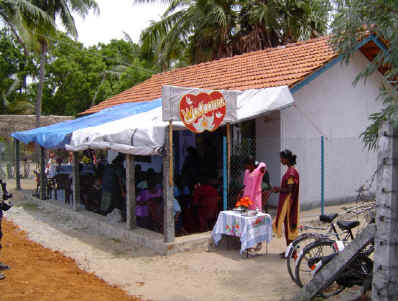 The school provides a caring and loving environment for 46 children whose families have suffered greatly from the tsunami..
Below are photos of the nursery school just before it was completed! 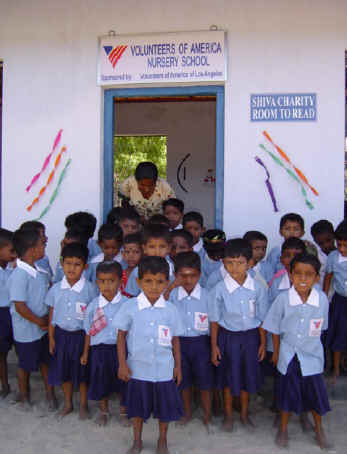 Below are photos of the Grand Opening Ceremony of the school!